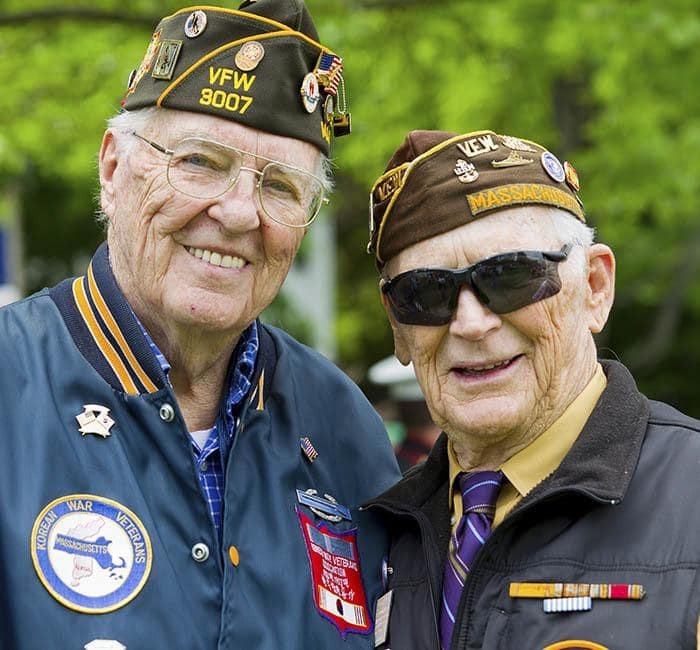 Cascade Valley Senior Living honors our Vets! You may also qualify for a special benefit called Aide & Attendance. The Veterans Administration offers a program for qualified vets and their spouses, if they require the aid of another person in order to perform personal functions required in everyday living, such as bathing, feeding, dressing, attending to the wants of nature, adjusting prosthetic devices, or protection from the hazards of your daily environment. • Must have served at least 90 days of active duty with at least one day during a period of war. • Must have anything other than a Dishonorable discharge. • A surviving spouse must have been married to the veteran at the time of his passing. • Must require the assistance of another person to perform some of the daily activities of living. • Must meet income and countable asset criteria established by the VA.
• Must be 65 years and older or totally disabled. Veteran beneficiaries will see a 2% increase effective December 1, 2017, to be paid on December 31st. This will affect approximately 1.96 million military retirees and 4 million disabled Veterans. We are excited to see this cost of living adjustment (COLA) increase for all of our Veterans, as well as, social security recipients. Benefits can vary, but this table represents the maximum you can potentially qualify for. *Annual rent increase will still occur when applicable.